Being a dance photographer has always been a dream of mine. Dancers know their bodies, are very aware of their spatial presence, and just move flawlessly in front of the camera. It’s like magic, I love that they’re able to create movement even in a still image. For awhile now I’ve been coming up with a dance inspired shoot, but hadn’t had the right person. I first saw Kyla when she came into Paper Source. Immediately I was drawn to her look and wanted to photograph her, so I asked if she’d be willing to model. Luckily, she agreed and after talking for a bit I found out she was a dancer. Perfect! 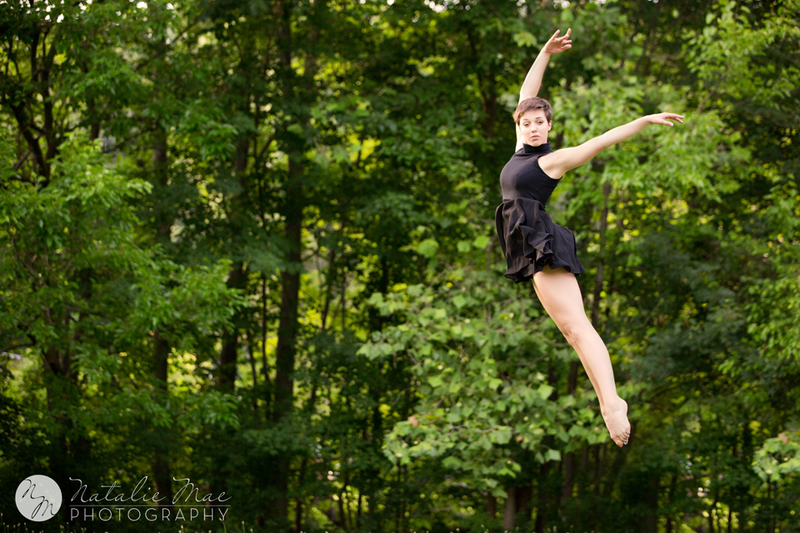 I still had the rented 70-300mm at the time of the session (I tried to plan a session for every day I had it), and I was really thankful that we both had time to squeeze the dance photos in before I had to return it. The park we went to, Island Park, I had only seen from a kayak while on the Huron River, but I was able to do a little searching and found out how to get there by land. There’s this adorable little building with some great pillars, I couldn’t wait to photograph there! Kyla was such a trooper too, I had her doing jumps over and over again to get just the right angle. It definitely payed off! These images are some of my favorites that I’ve created, not to mention it was fun to just photograph with no pressure on getting things right. It’s always good to just let the creativity flow uninterrupted once in awhile. I would love to do another dance session, but next time I think I want to make a long dress for it so there’s even more movement…maybe I’ll plan it for the fall!